adding automated visual testing to the world’s most comprehensive and trusted continuous testing cloud. We are delighted to now be a part of Sauce Labs, the folks who created the cloud-based continuous testing category. If you are interested in learning more about the acquisition, click here. Make visual testing a core component of every organization’s continuous testing strategy. Improve the speed, reliability and scalability of visual testing. Further deliver a fully integrated, unified testing experience combining both functional and non-functional testing, including visual testing. Lower the overall cost of ownership and ease the pain points commonly associated with visual testing, leading to faster and greater ROI for users. Further support organizations’ efforts to shift testing left by enabling them to run visual component testing alongside headless testing and performance testing early in the development cycle. Do you know the impact of code changes on your UI? Move fast with confidence. Automatically detect visual regressions across your application UI. With Screener, you know exactly where and what has changed, and you don't waste time testing what hasn't. Instantly get visual tests across your React, Vue & Angular components. 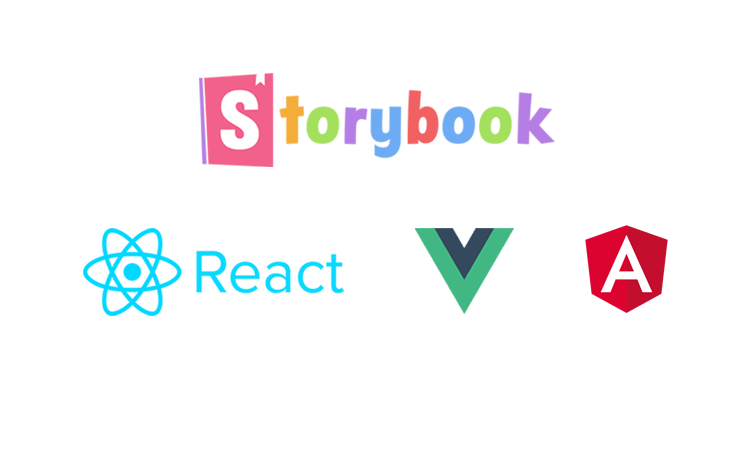 Do you use Storybook to develop your UI components? Screener automatically pulls component states from Storybook, and uses them as visual test cases for automated visual testing; no coding required. 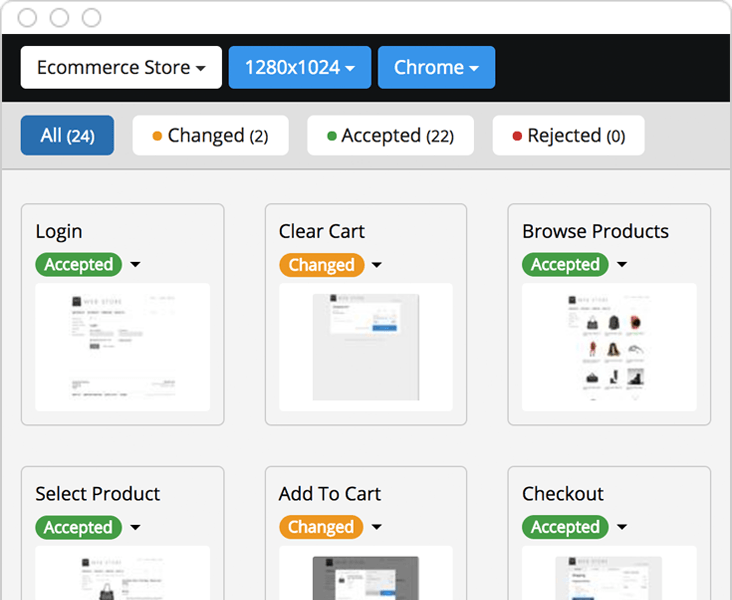 Does your UI look beautiful to all your users? Save time & eye strain. 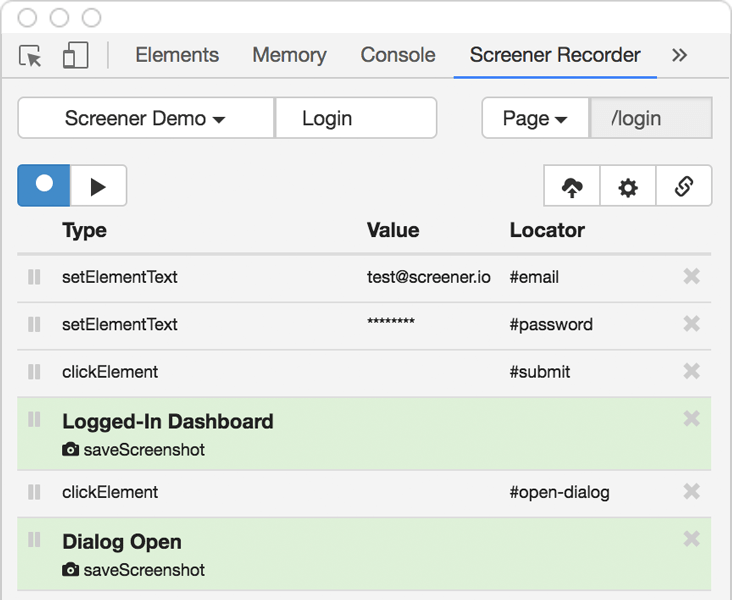 Screener automatically tests your UI across browsers, devices, and environments, spotting inconsistencies for you, and ensuring your users have the right experience no matter how they view. Easily automate test flows in minutes. Record and playback in real-time. No coding required. Use the Screener Recorder to quickly and easily create your tests and automate your test flows. And no need to setup testing infrastructure. 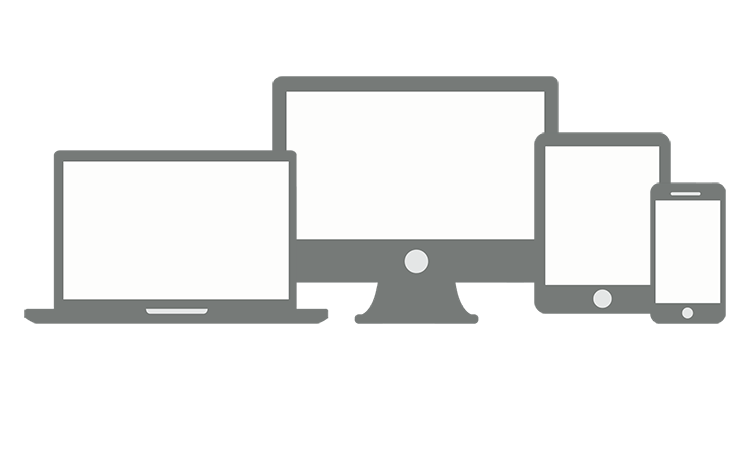 We provide instant access to modern browsers in the cloud, so you can start testing right away. 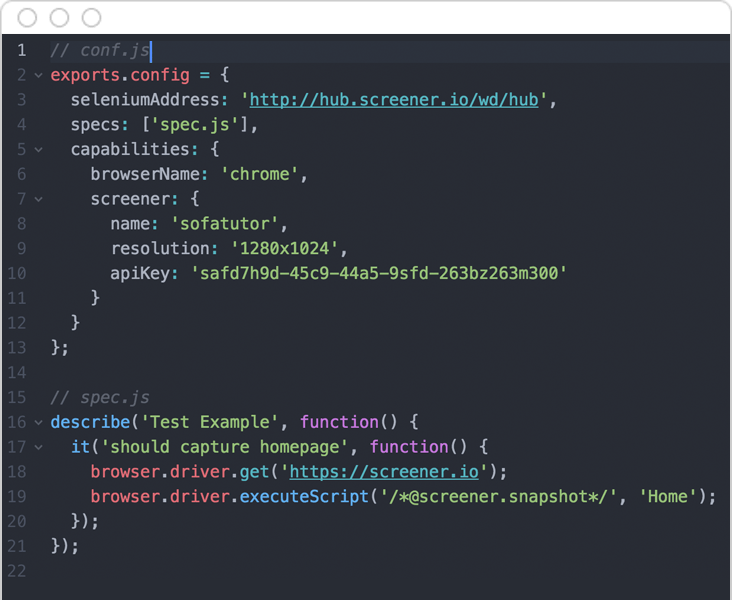 Integrate Screener into existing Selenium WebDriver tests and CI, leveraging your investment in test automation, and increasing your test coverage by performing both visual and functional testing in the same test run. "UI inconsistencies on responsive public sites are becoming more and more difficult to support. Screener drastically cut our testing time, and limited rework and embarrassing UI issues from ever occurring for the end user. In our continuous integration pipeline, it increased our throughput for regression testing by an exponential factor. Screener has been an indispensable tool in our development and validation process, and is an absolute must for all Agile Sprint level planning and go/no-go decisions." © 2019 Screener Technologies Inc.